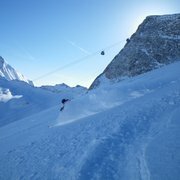 The Ziller Valley is the biggest Freeride resort in Austria. 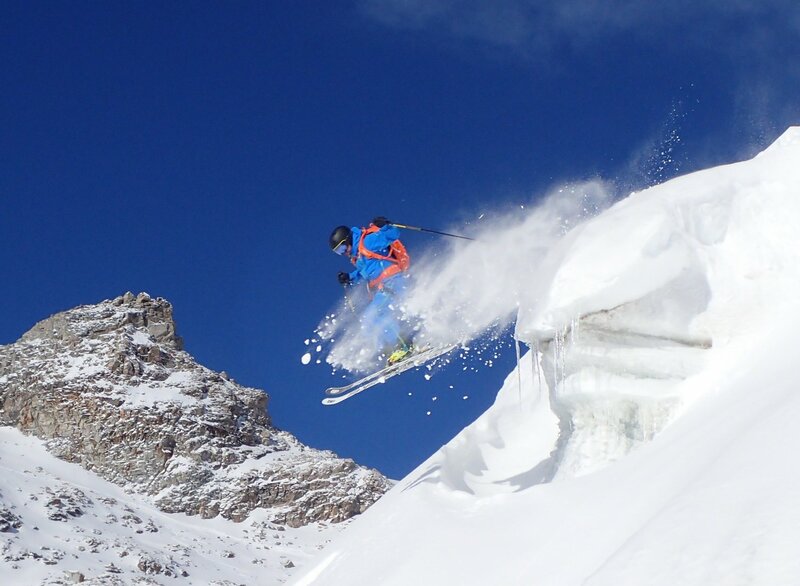 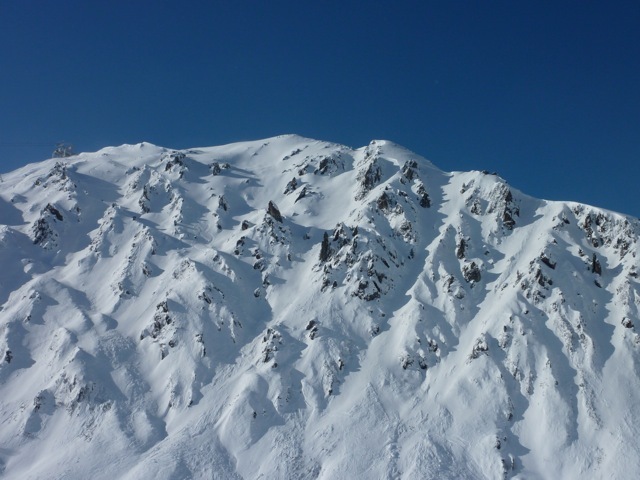 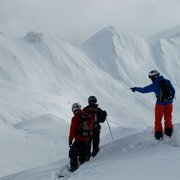 4 large ski areas and a vertical drop from 2700 meters let your Freeride heart beat faster. 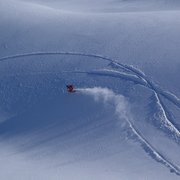 Variation Richest terrain: From high alpine great glacier fields, to mountain pastures, over backcountry valleys and playfull tree and billow runs - all this you need for a perfect freeride day. 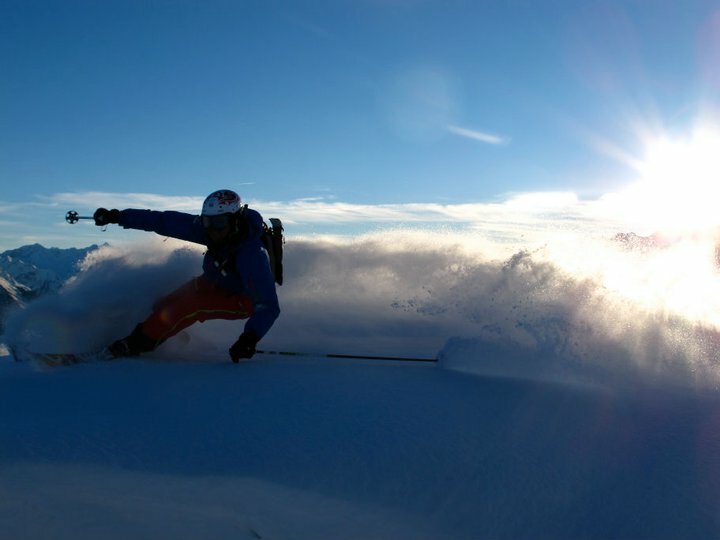 With the snow guaranty of the Hintertuxer glacier and the endless runs of the Zillertaler mountains you will find with us your downhill dream ! 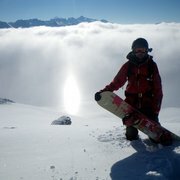 Find your Freeride- Level here! 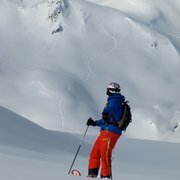 You can use in Zillertal more than 180 lifts to get to the entrance of the secret Freeride runs. 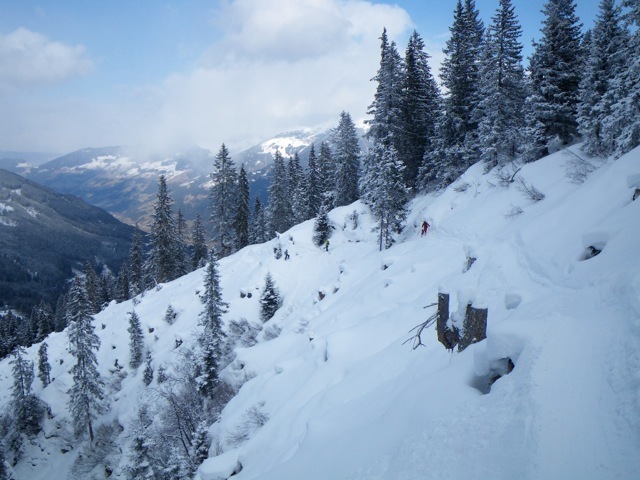 For a few of the magic runs a short hike is required. 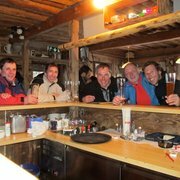 Depending on conditions and skiing / boarding ability we can ride between a total of 4000 to 10 000meters altitude diffrence / day. 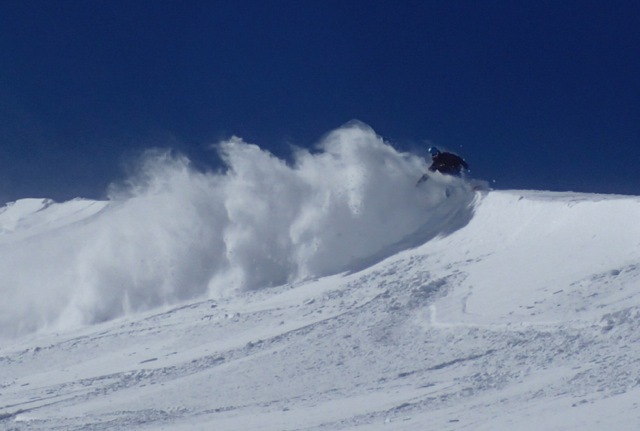 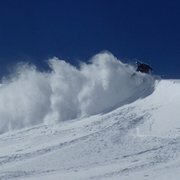 When you ride with ROCKnSNOW, you will learn somthing about avalanche safety. 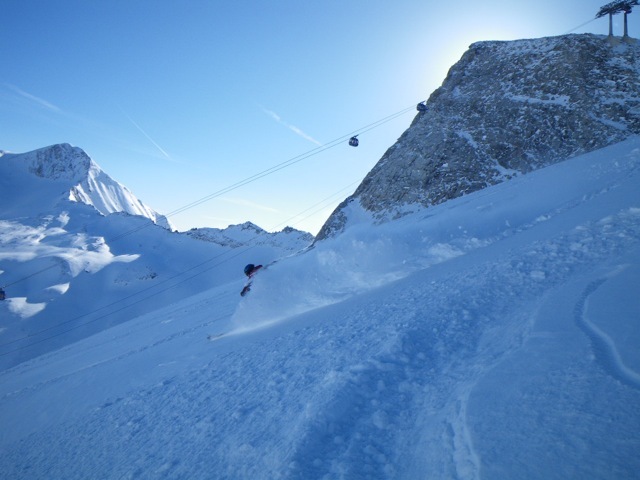 The starting point is at 8.45 by the designated lift and powder finish is at sunset. 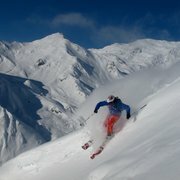 Surf with your Mountain guide and freeride- pioneer! 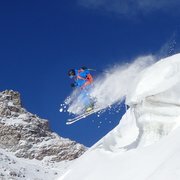 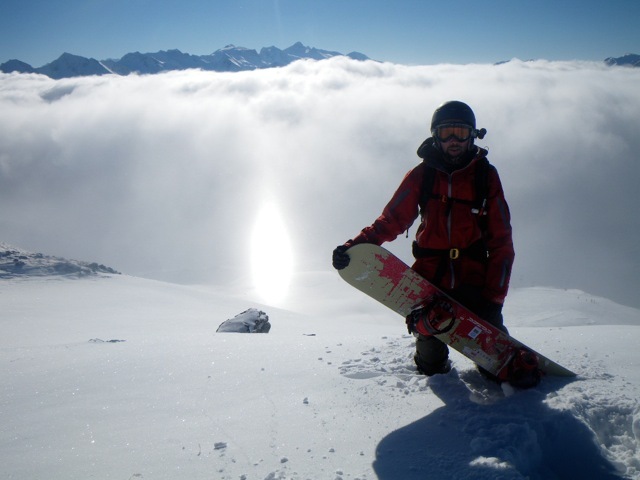 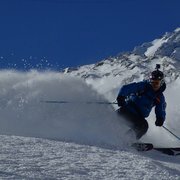 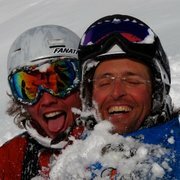 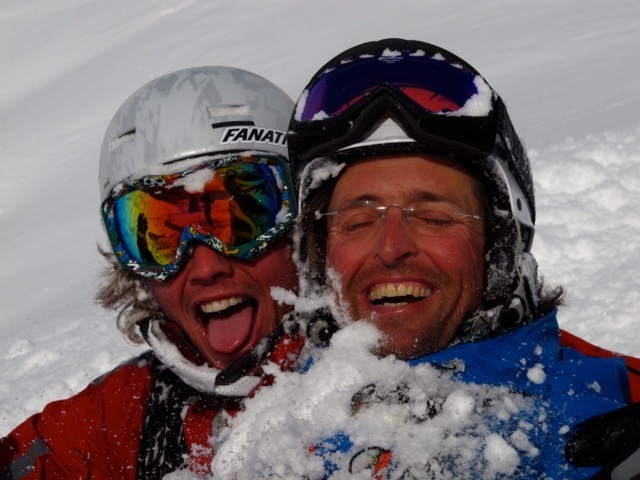 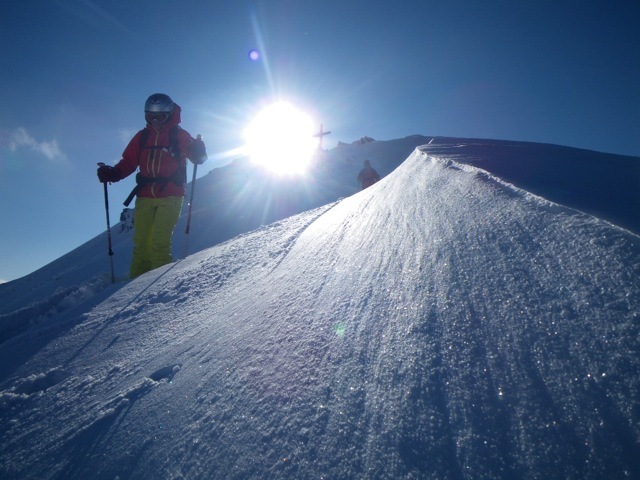 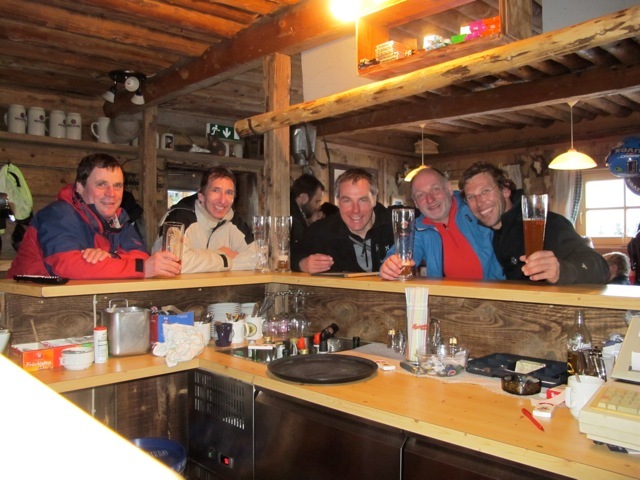 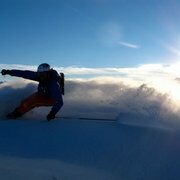 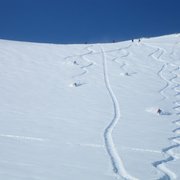 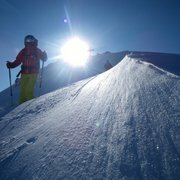 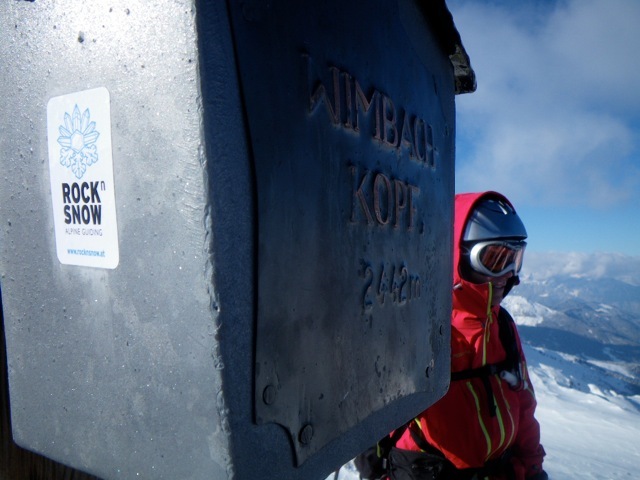 All guides from ROCKnSNOW are locals, with more then 20 years experience. 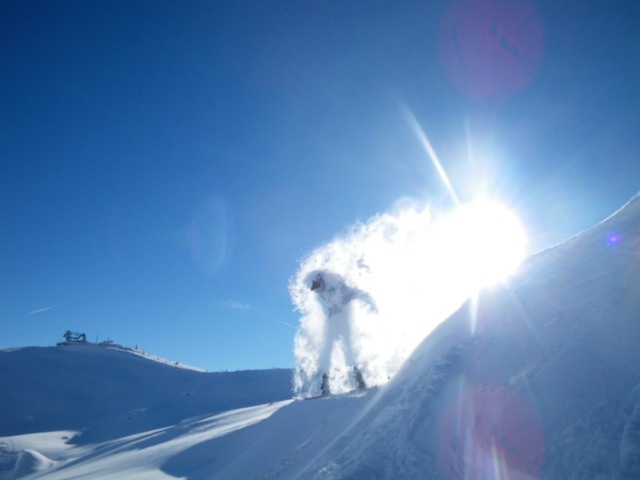 You will feel the powder- spirit with us. 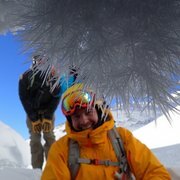 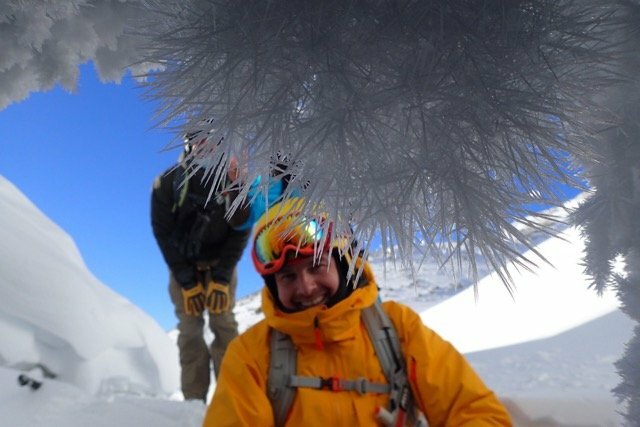 Your mountain guide is well imformed about the snow conditions and avalanche situations. 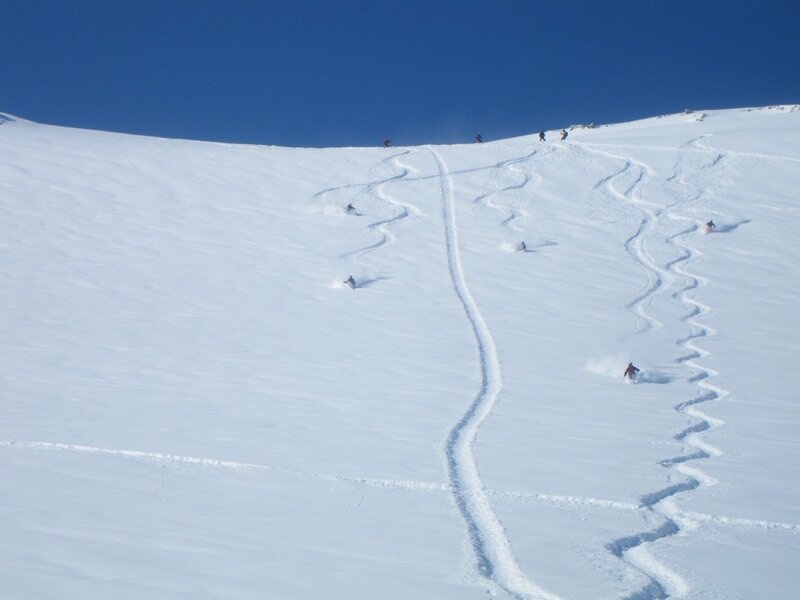 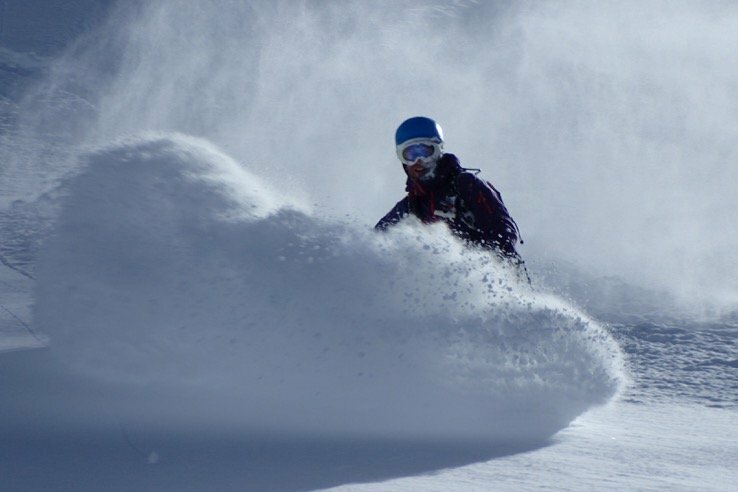 You can be safely assured that we will surf the top powder slopes. 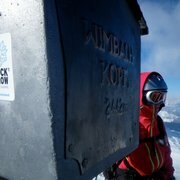 Safety is ROCKnSNOW´s first goal. 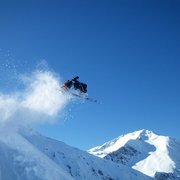 Therefore we ride only full equip through the powder! 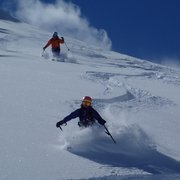 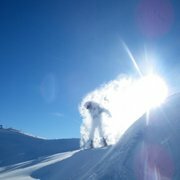 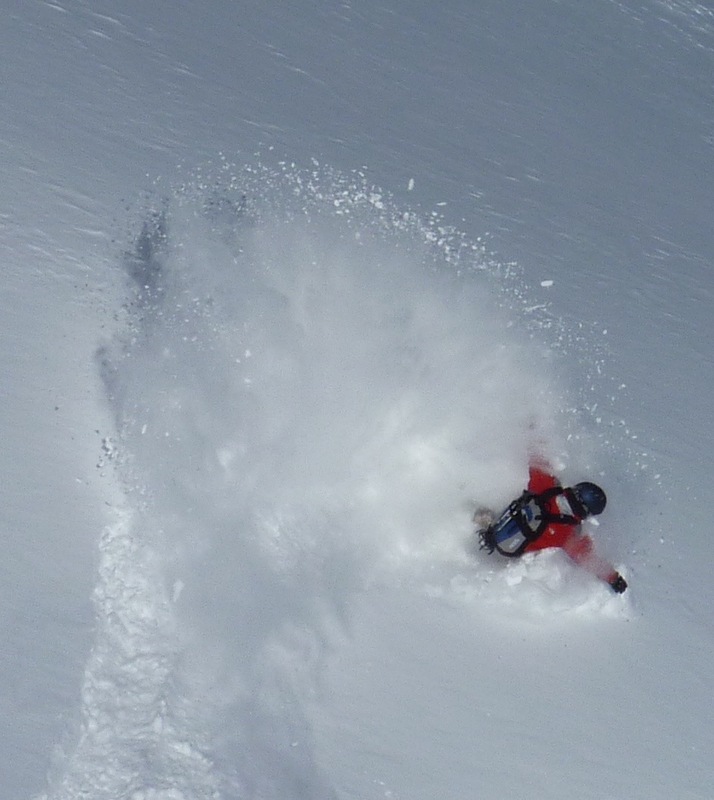 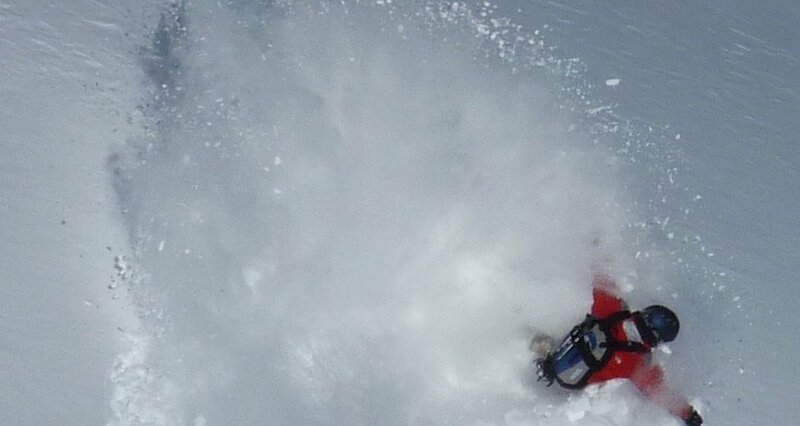 You surf with us provided with avalanche airbag, avalanche transceiver, probe, shovel and helmet. 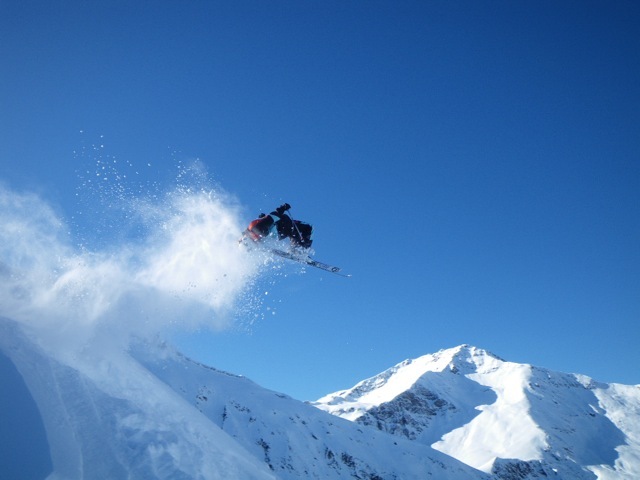 When you need the safety equipment you can rent it here! 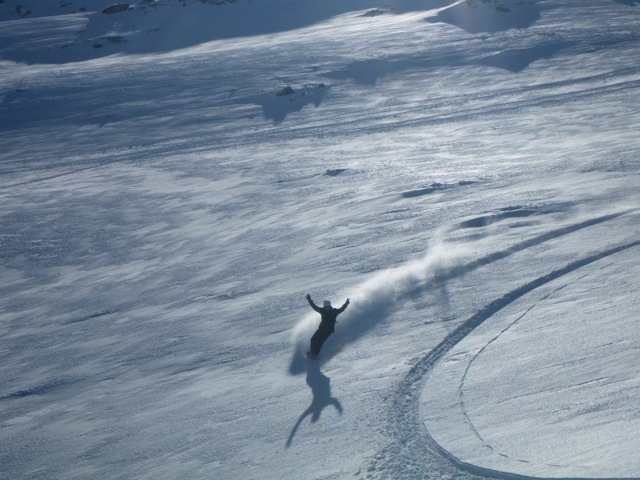 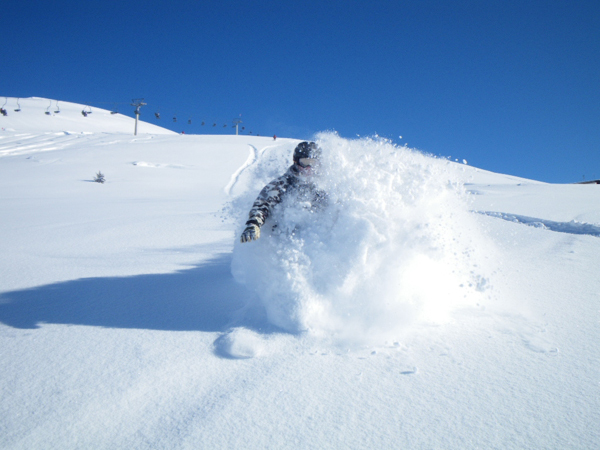 Fulfill your ultimate winter dream, we look forward to 'rockn' with you through the powder!!! 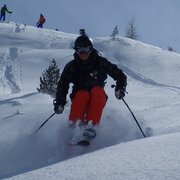 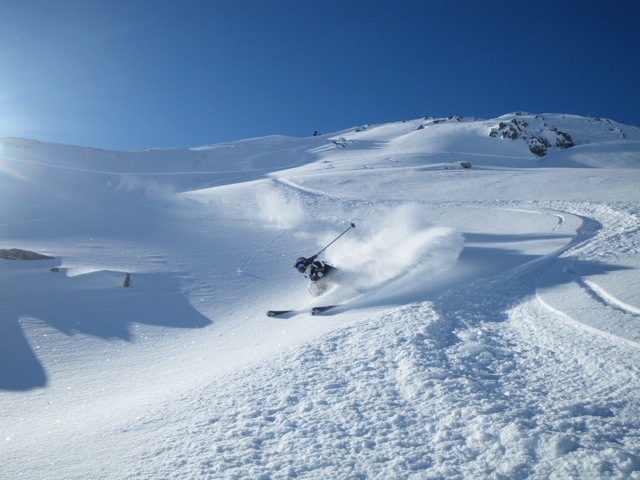 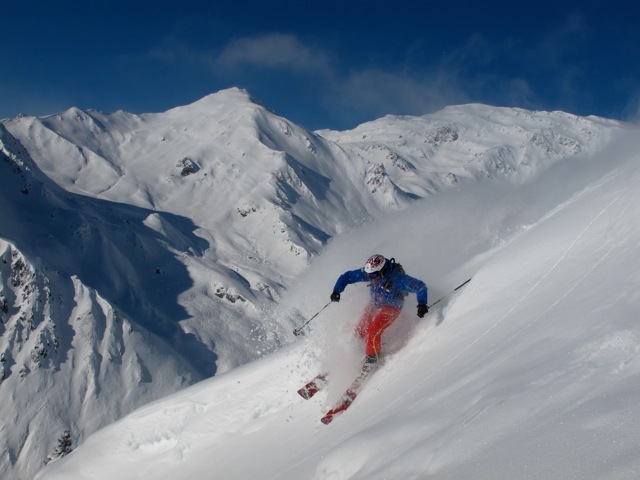 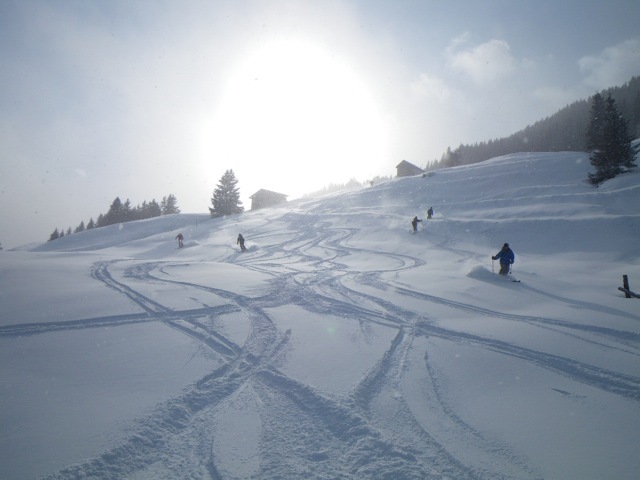 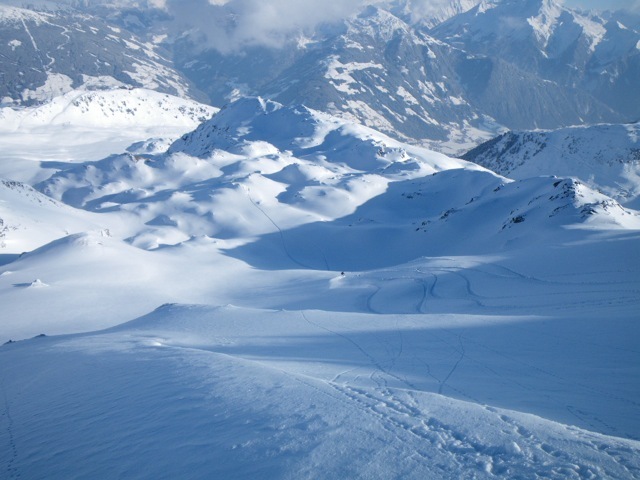 You can handle all pistes without problems and want to try powder ski/boarding for the first time. 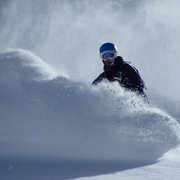 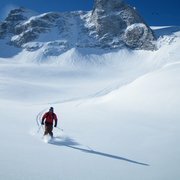 You have already skied/boarded in powder and want to learn more technique. 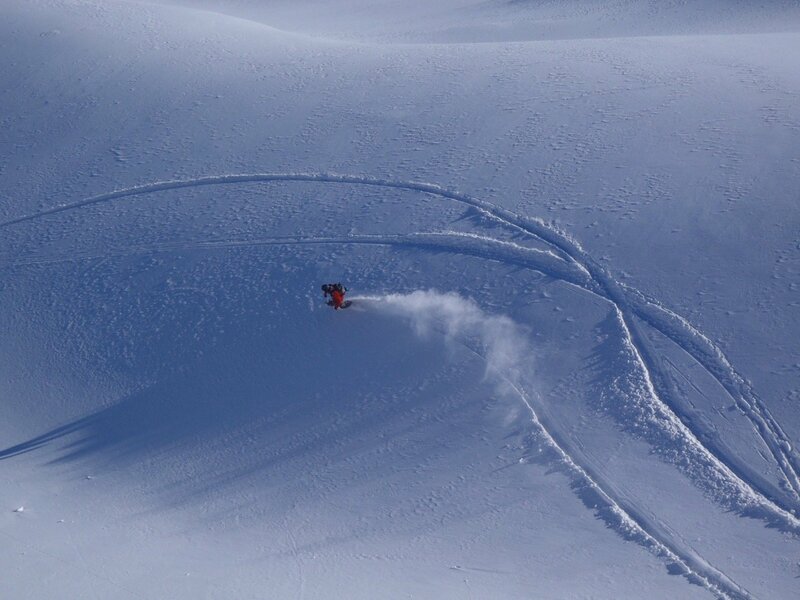 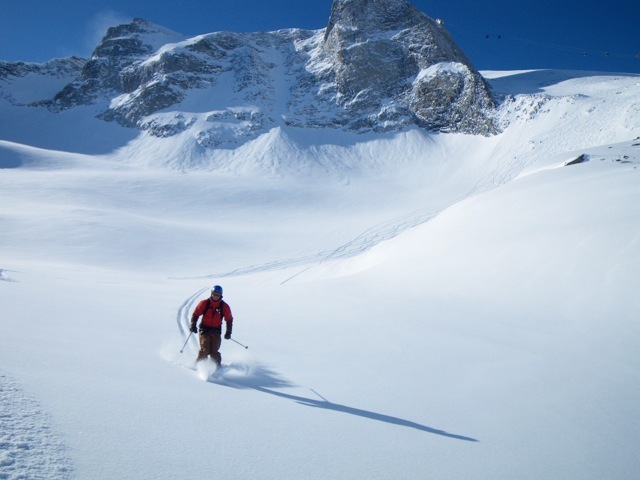 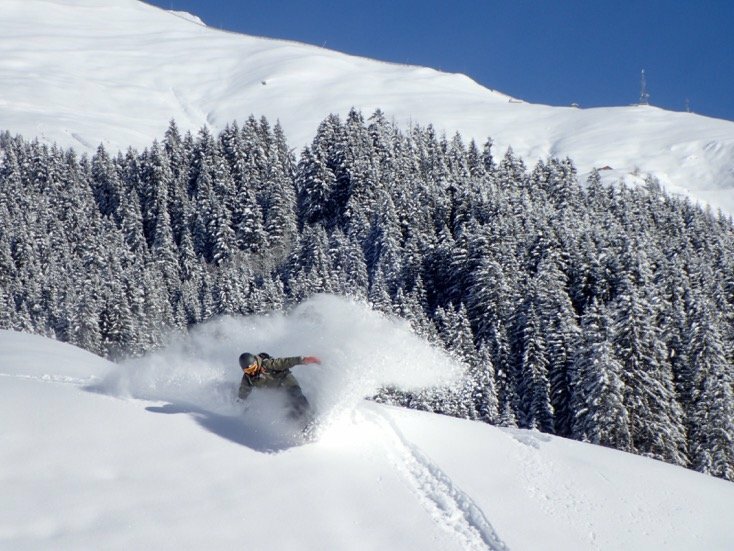 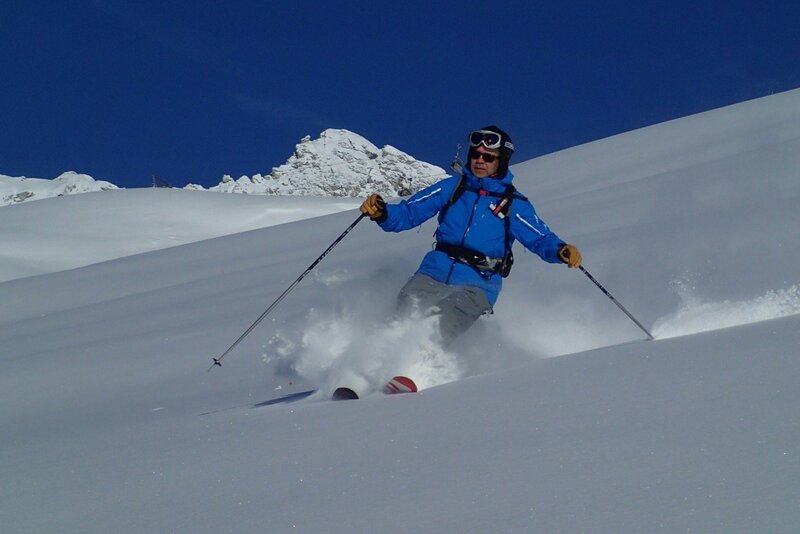 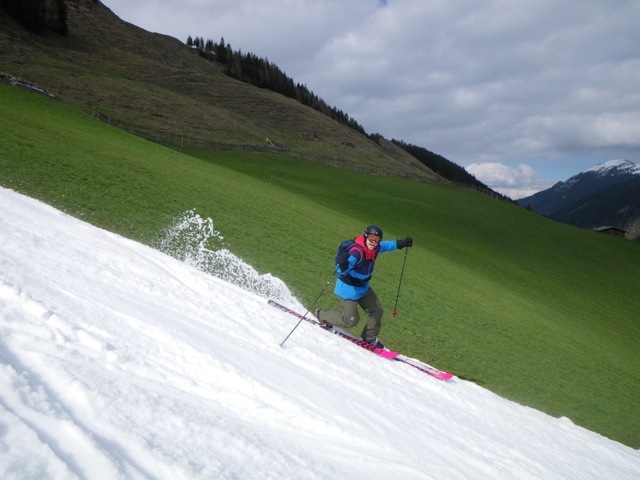 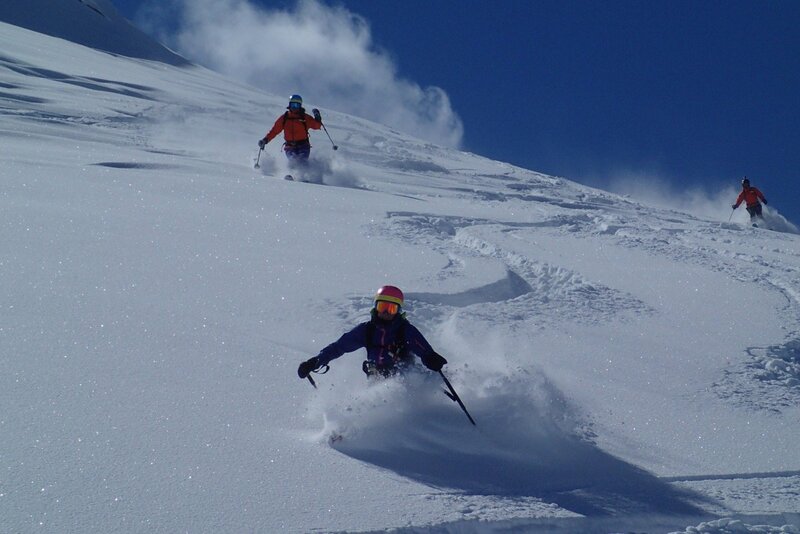 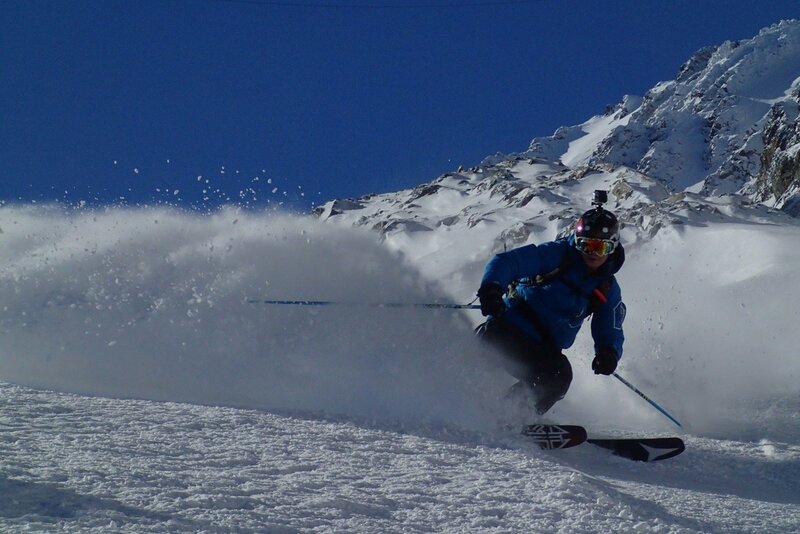 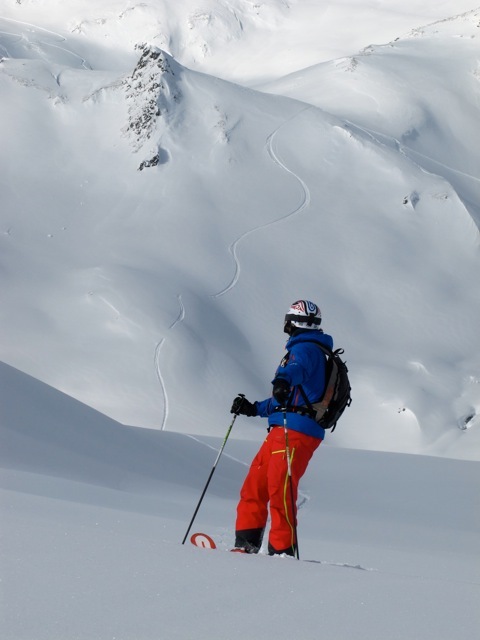 You are familiar with off piste skiing/boarding but want to learn more control in all types of freeriding terrain. 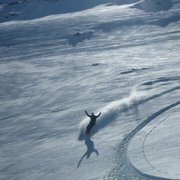 You can surf all slopes and make the perfect line. 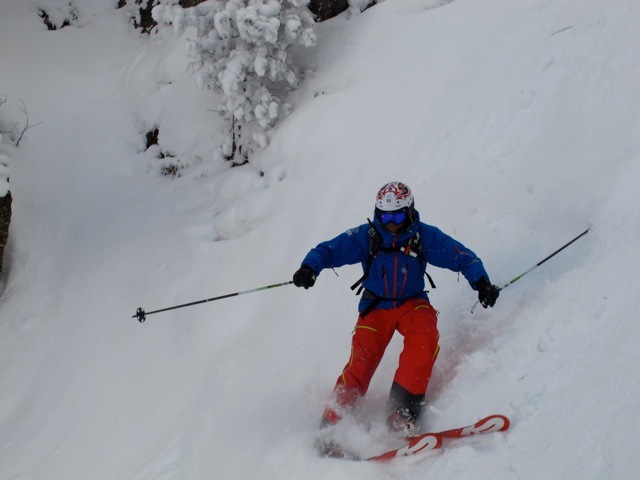 Steep passages do not bother you. 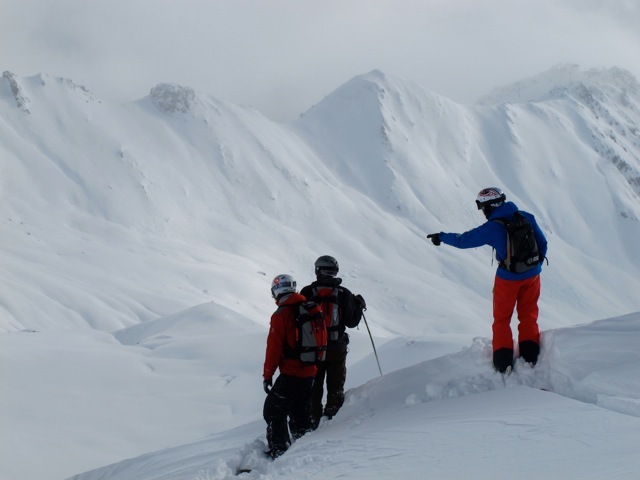 Your expert vision is focused on getting the best from the mountains. 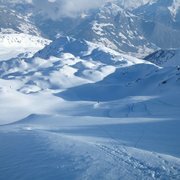 [Translate to en:] Turning is a sign of fear!! 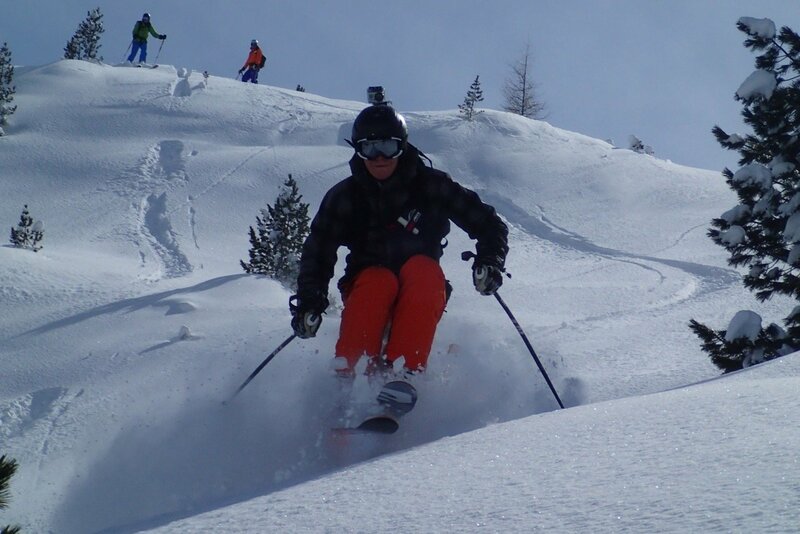 [Translate to en:] Der Dude voll im flow! 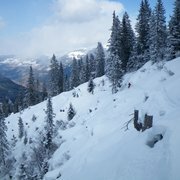 [Translate to en:] Den frechen Guide Peter einmal so richtig "einsalzen"
[Translate to en:] Hochzillertal und Hochfügen sind super Freeridegebiete, aber leider nur für Skifahrer. 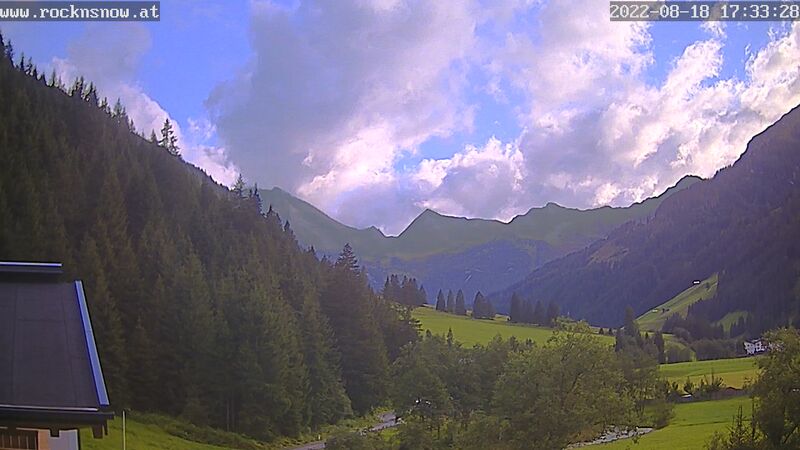 Es gibt hier sehr viele lange Schrägfahrten und flache Ziehwege. 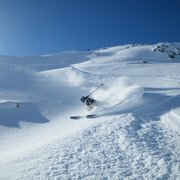 Für Snowboarder nur mit Splitboard gut geeignet! 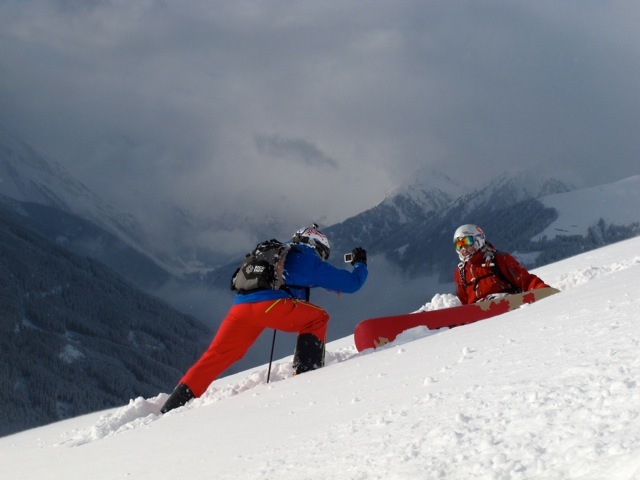 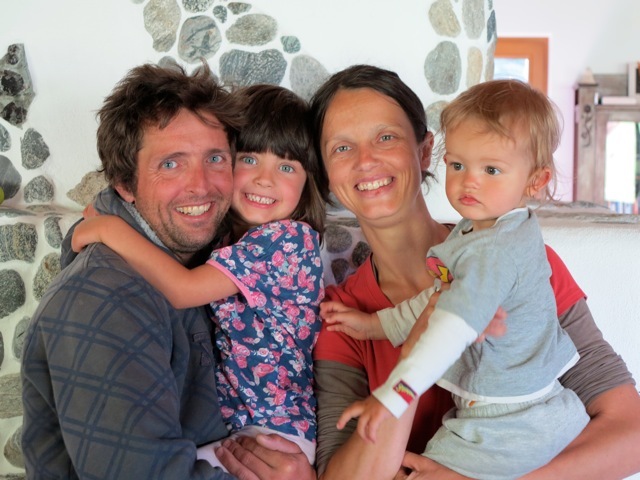 If you are searching for your ultimate adventure in the Ziller Valley, that' what we here for. 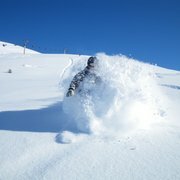 With ROCKnSNOW you are guaranteed to experience your Outdoor Highlight. 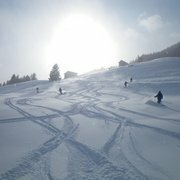 We are delighted you allow us to share with you your special experiences.